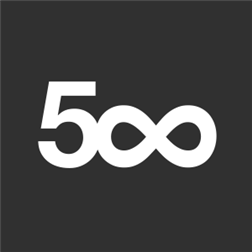 500px is an online platform for photographers to share their work and be inspired by their peers. Every month, millions of people visit 500px.com and our mobile apps to find the world’s most inspiring photography and learn techniques to develop their own skill and appreciation of the art. – Stay up to date on your friends’ activity using our innovative Flow.